The VCM30 is a video conferencing microphone array which can work as the audio input device for VC120/VC110 video conferencing endpoint. It has 3 built-in microphones which support 360-degree audio pickup at a radius of up to 3 meters. 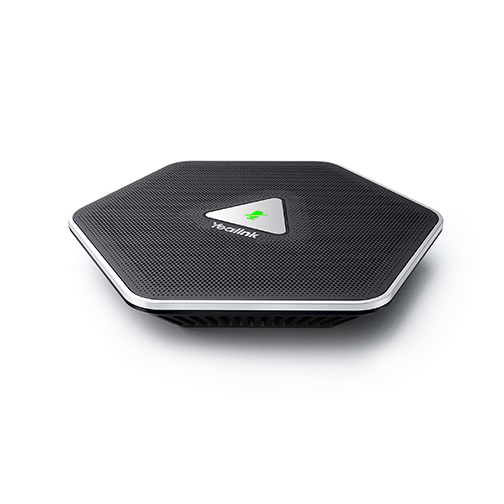 The Yealink VCM30 reduces ambient room noise and features superior audio technology that automatically steers its three microphones toward the person speaking for greater voice pickup. The VCM30 is a clear-cut choice for organizations which enables optimal microphone placement and room coverage.